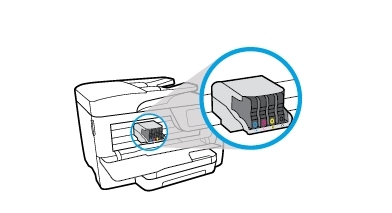 HP recommends that you use Original HP ink cartridges. XL (Extra Large) cartridges cost more but do provide better value in the long run. The XL versions of the cartridges for your HP OfficeJet Pro 7720 will be able to print at least double the pages of a regular cartridge. Our advice is that if you print often, go with XL. However, ink can dry up. So if you are not a frequent printer, go with the regular cartridges. You can check the estimated ink levels from the printer software or from the printer control panel. – Touch or swipe down the tab at the top of the screen to open the Dashboard, and then touch the Ink Icon (see below) to check the estimated ink levels. Which ink cartridges do I need for my HP OfficeJet Pro 7720 Wide Format All-in-One series Printer? HP 952 Black Ink Cartridge and 3 color cartridges: HP 952 Cyan, HP 952 Magenta and HP 952 Yellow. For your European or UK HP OfficeJet Pro 7720 Wide Format All-in-One series Printer you need a HP 953 Black Ink Cartridge and 3 color cartridges: HP 953 Cyan, HP 953 Magenta and HP 953 Yellow. 3. 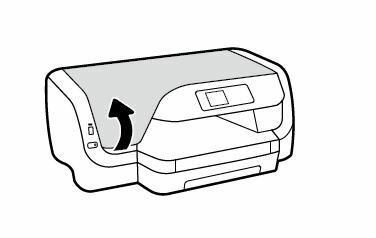 Slip your fingers behind the groove on the right-hand side of the printer, and then pull forward to open the cartridge access door. Wait until the carriage is idle and silent before you continue. 6. 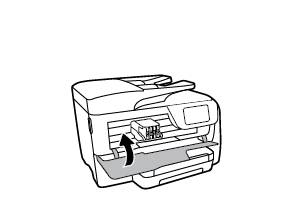 Hold the new cartridge so that the cartridge contacts face the printer. 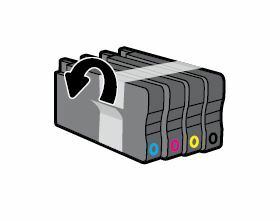 Using the color-coded letters for help, slide the ink cartridge into the empty slot until until it clicks into place and it is securely installed in the slot. Detailed image: Inserting the new cartridge into its slot. Make sure that you insert the ink cartridge into the slot that has the same colored letter as the color you are installing. 7. 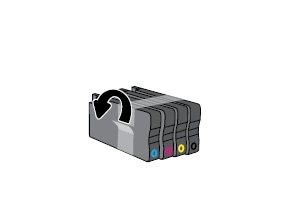 Repeat steps 4 through 6 for each ink cartridge you are replacing. Make sure no ink cartridge is sticking out farther than the others. If an ink cartridge is sticking out, push it until it snaps into place. The printer automatically aligns the printhead during the initial setup. You might want to use this feature when the printer status page shows streaking or white lines through any of the blocks of color or if you are having print quality issues with your printouts. You can align the printhead from the printer’s control panel and from printer’s software. – Swipe down to open the Dashboard, and then touch the Setup icon. – Swipe up on the display, and then touch Printer Maintenance. – Touch Align Printhead, and then touch Continue. 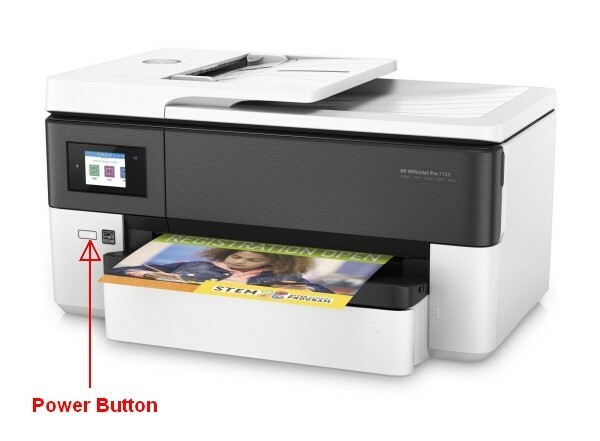 – Click Print, Scan, & Fax, and then click Maintain Your Printer to access the Printer Toolbox. 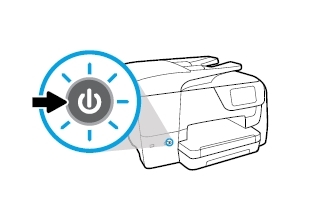 – In Printer Toolbox, click Align Printheads on the Device Services tab. The printer prints an alignment sheet. You can check the estimated ink levels from the printer software or from the printer control panel. The icon below displays the estimated ink levels. Ink level alerts and indicators provide estimates for planning purposes only. 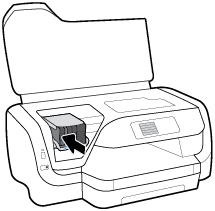 When you receive a low-ink alert, consider having a replacement cartridge available to avoid possible printing delays. You do not have to replace the cartridges until you are prompted to do so. 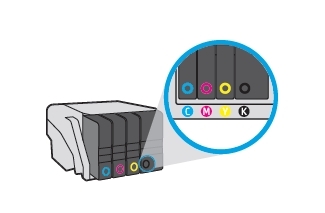 HP recommends that you replace any missing cartridges as soon as possible to avoid print quality issues and possible extra ink usage or damage to the ink system. Never turn off the printer when ink cartridges are missing. 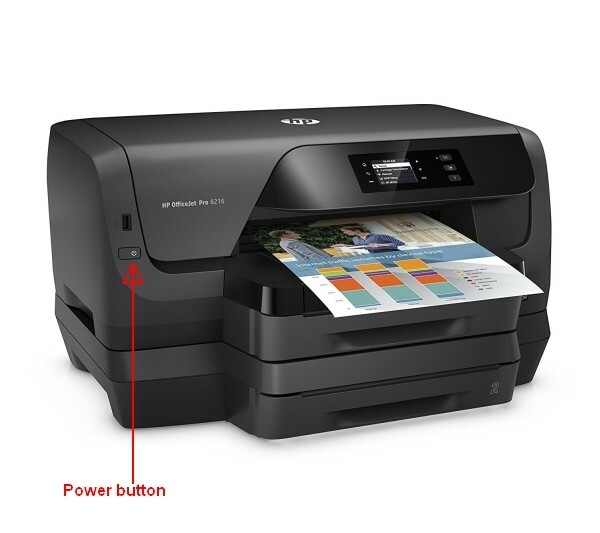 Which ink cartridges do I need for my HP Officejet Pro 8715 All-in-One series Printer? For your US HP OfficeJet Pro 8715 All-in-One series Printer you need a HP 952 Black Ink Cartridge and 3 color cartridges: HP 952 Cyan, HP 952 Magenta and HP 952 Yellow. For your European or UK HP OfficeJet Pro 8715 All-in-One series Printer you need a HP 953 Black Ink Cartridge and 3 color cartridges: HP 953 Cyan, HP 953 Magenta and HP 953 Yellow. There are also Combo Packs (4 cartridges in one pack) available, like the Hewlett Packard HP Original 953 cartridges 4er Set black, cyan, magenta, yellow Combo Pack. 2. 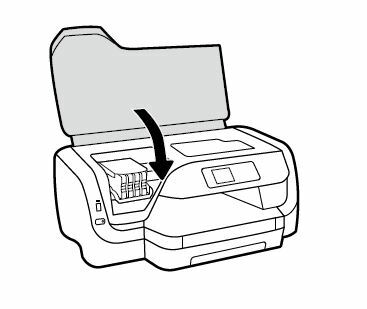 Slip your fingers into the slot on the left side of the printer, and then pull forward to open the cartridge access door. The carriage moves to the left side of the printer. Wait until the print carriage stops moving before proceeding. 3. Find the cartridge you want to replace. Push in on the front of the cartridge to release it, and then pull it toward you to remove it from its slot. 4. Remove the new ink cartridge from its packaging. Do NOT touch the electrical contacts and ink port. Do NOT lift the latch handle on the print carriage to install the ink cartridges. Doing so could cause the printhead or ink cartridges to be incorrectly seated, which can cause errors or print quality problems. 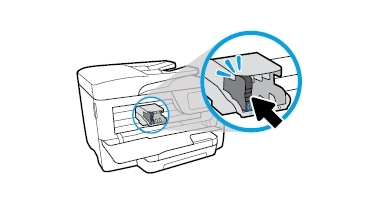 The latch must remain down in order to correctly install the ink cartridges. 5. Hold the new cartridge so that the cartridge contacts face the printer. 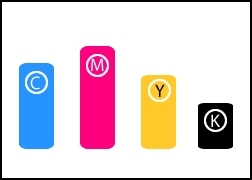 Using the color-coded letters for help, slide the ink cartridge into the empty slot until until it clicks into place and it is securely installed in the slot. Make sure that you insert the ink cartridge into the slot that has the same colored letter as the color you are installing. 7. Close the print-carriage access door and wait until the warm-up sequence finishes and your printer is quiet before you proceed. Aligning the printhead ensures the high-quality output. The printhead does not have to be realigned when cartridges are replaced. 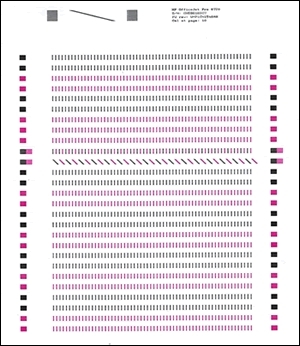 However, you might want to use this feature for print quality issues in printouts where straight lines look wavy or jagged. You can align the printhead from the printer software and from the printer display.